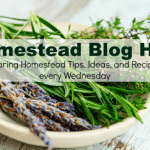 Home canning has made a comeback and if you do a lot of it, chances are you’ll run into the situation at least once, where you question the edibility of something you’ve just pulled out of the pantry. Whether it’s because it didn’t seal correctly to begin with, or that it came unsealed while in storage, if you know what to look (and smell) for it makes decision making easier. I tend to err on the side of caution if I find myself questioning a jar of something that I’ve canned, but most of the time the signs your canned food has gone bad are pretty obvious. 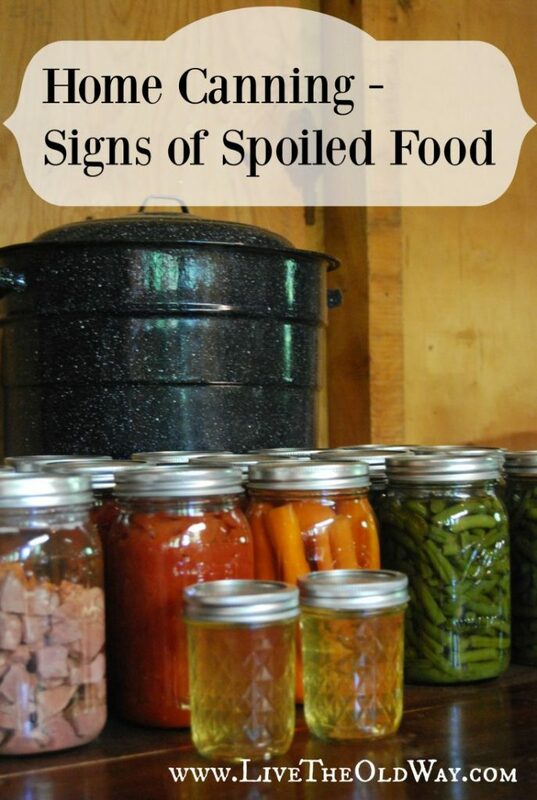 The one exception to that is if a home canned product has developed botulism. You can’t taste or see botulism but you’ll become quite sure about it real quick if you consume a jar of food that has botulism spores growing in it. Botulism sickness, also known as food poisoning, begins with weakness in the face that then spreads downward to the rest of the body. Other symptoms, according to WebMD, are blurred vision, difficulty speaking and swallowing, shortness of breath and nausea and/or diarrhea. Because it is technically a neurotoxin traveling through your body, if left unchecked, botulism poisoning may be fatal. Using correct canning methods for the food and keeping all supplies and work areas sterile is the key to botulism free home canning. Any of the home canning books will walk you through the process and give you the correct methods, but my favorite is the Ball Blue Book – Guide To Preserving . The Ball Blue Book has recipes but also gives information on equipment and easy to follow step-by step instructions for which method to use (water bath or pressure canner). The method used varies by food type and using the correct method ensures your jars have been processed with sufficient heat to kill botulism spores and other bacteria that could cause all your hard work to be wasted. Follow the guidelines and you’ll have few worries. A lid that spews when you open it, indicating the contents have been developing pressure or gas inside the jar. A lid that has lost its seal. A jar that has had visible seepage (on the outside of the jar coming from the lid). Food that has an odd color. Food that has an odd smell. Any kind of film or slime covering the top of the food. A lid that moves when you press on the top. Canning lids have small indented “buttons” that will be completely concave when they are properly sealed. A “button” that moves is not sealed. Don’t store your jars with the rings on. If pressure develops inside the jar, an unseal will be forced by the pressure. A lost seal makes your decision easier as it is a clear sign of spoilage. To bring that point home even more, a jar with a ring still on it may actually lose its seal and then re-seal. When this happens it’s called a false seal. Albeit lightly resealed, it may make it less clear that there has been a problem taking place. Before you put your jars in storage, take the rings off and give the lids a trial lift with your fingernail. If the seal is not good, you’ll be able to lift it off. If the seal is good, you won’t. If you’ve taken the advise above and are storing your jars without the rings, put foods that are more prone to building pressure (tomatoes, etc.) under a shelf that will at least help contain the mess if one pops the seal and lid. If you’ve just finished processing and discover a jar that has not sealed properly, just stick that jar in the fridge and use it within a few days. Generally the rule of thumb is no more than 24 hours after processing, but use your judgement if it already looks “off” or if it has been subjected to excessive heat while sitting out waiting to seal. And the lid is on tight. Do you think I should use them, being this old? I grew a bunch of different kinds of hot peppers, mostly jalapeno. I got some canning jars and boiled them and the lids for 20 minutes, then when they cooled a bit I put in the cut up peppers with some fresh garlic and thime. I filled the jars half way with apple cider vinegar, half water and a tablespoon of pure sea salt. I stuck the two jars in the fridge and ate one before it could have gone bad, but I still have the other one. I’m using it and havent had any problem. I used the same recipe on the next set of three jars. These I left on the counter and added some dill to one of them. The lid hasn’t been tight on that one for a couple days, but the temp hasn’t changed so it might still be okay. I think once you open them, you loose the seal and pressure inside. I don’t really know and I bet I’ve done it all wrong, but does it look to you like I might kill myself with these peppers? 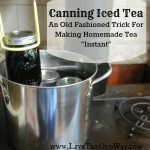 These are some great tips, this is always my greatest fear with canning. 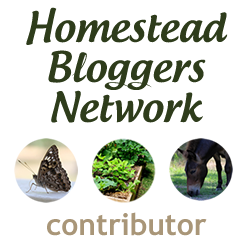 Thanks for sharing on Homestead Blog Hop!